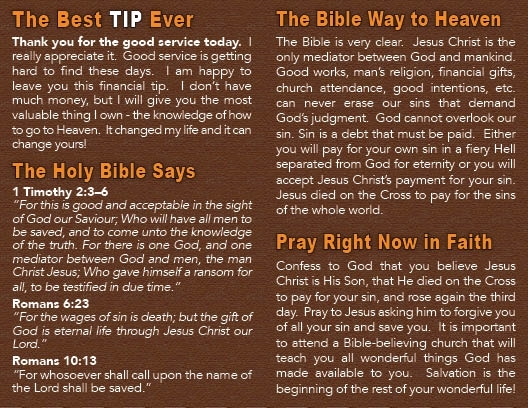 A Gospel tract to leave at a restaurant or place of business. The gospel is given with an emphasis on your church's contact information. You can give these out repeatedly to the same people and businesses. 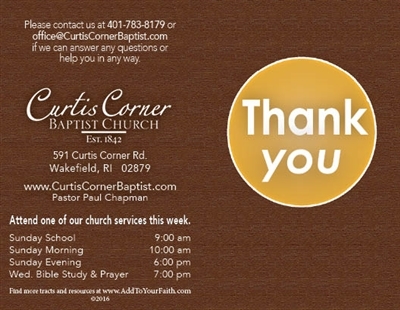 These tracts are easy to distribute and are accepted happily with your thanks. When folded, the small 2 3/4" x 4 1/4" makes them easy to carry.